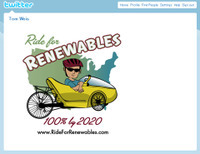 "Renewable Rider Tom Weis Speaks with Harvey Wasserman, nuclear energy expert and special advisor to Greenpeace, on the need for a national goal of a 100% renewable electricity grid by 2020." 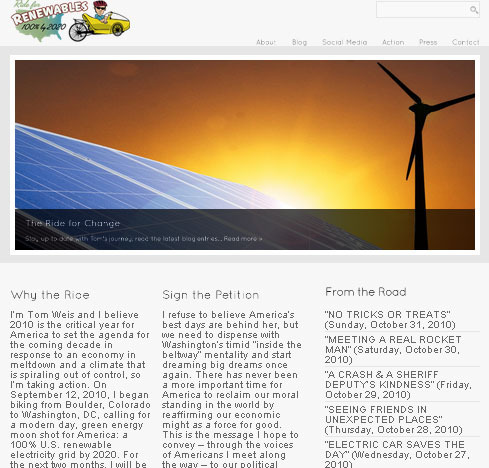 IT'S TIME TO RENEW AMERICA WITH RENEWABLE ENERGY. GREEN ENERGY: America has enough solar, wind and geothermal resources to meet all of our electricity needs.